What to do with the fingers not holding the pick on a strat style configuration? The knobs and selector kind of seem to be in the way of the fingers, but a lot of players dont have problems with this. It bothered me enough to sell my strat to the bass player in my “band”. I now miss the sound of a strat so I’m keeping my eye out for a strat with just two knobs. Yeah the positioning of volume knob on the strat is infuriating to say the least! Yngwie and others have developed ways to turn this into a strength, by controlling the volume with the pinky or similar. But it definitely doesn’t work for me! Not so curved that it feels like it requires muscular effort to keep the fingers suspended - just enough that they are out of the way. This can be done comfortably for long periods without strain, and removes any issues with body or electronics contact. 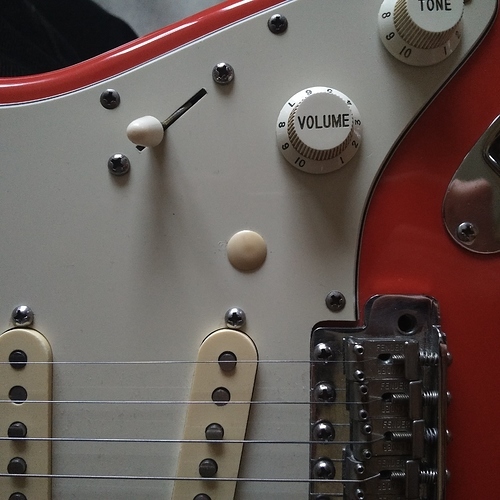 I have been playing for a long time without anchoring my fingers at the pickguard, but I did that in the past, and even then I didn´t find the strat volume knob to interfiere with my playing. If you want to approach the solution without having to worry about what your fingers do, you can do it also by changing the place where you pick, and the angle of your forearm in relation with the strings. 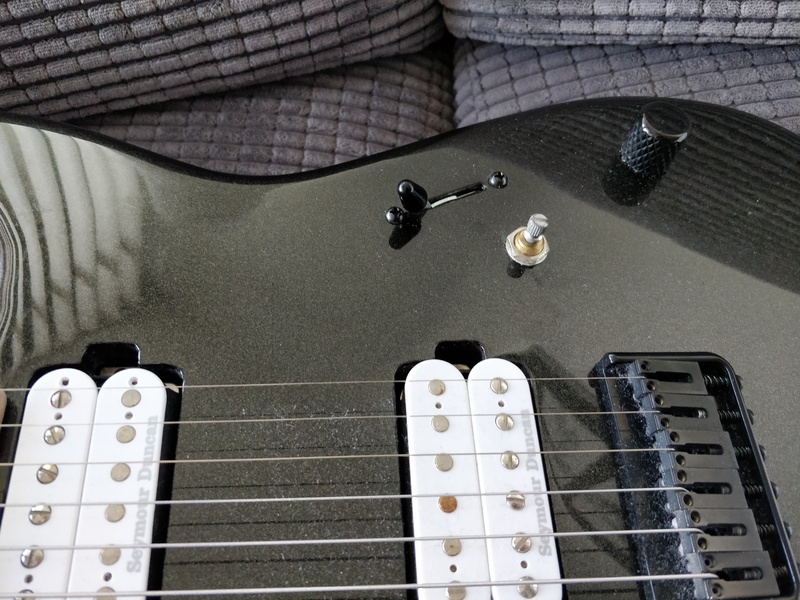 Pick by default above the middle pickup (unless searching for a different sound), find the right forearm angle, and all your anchor fingers will find themselves occupying the free space between the knobs and the pickup selector. This irritated me to no end so I bought a guitar from Ola Englund’s company Solar Guitars. The electronics are out of the way almost entirely. I can’t go back now. From a technical standpoint I think it’s superior because you don’t have a knob pushing back into your hand and creating force or tension. 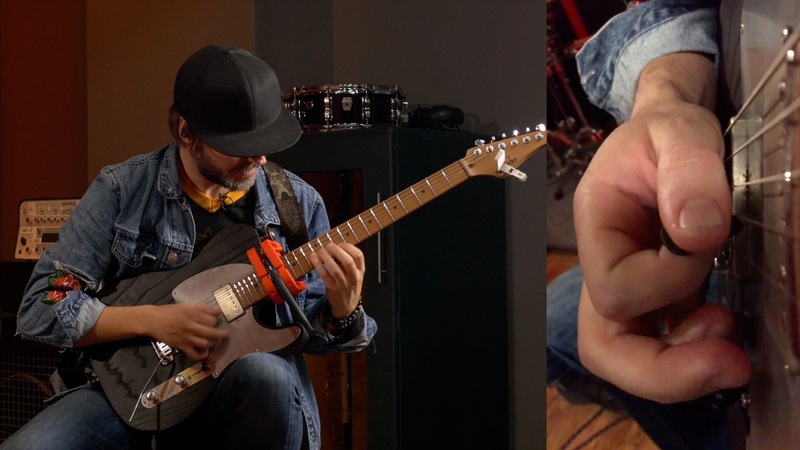 I THINK I do a combination of curling my fingers into a loose fist, and tucking up the ring and pinkie a la Andy Wood on a strat, near as I can tell from videos I’ve posted around here. My first real guitar was a Strat though so it’s a control layout I’ve played for more than 20 years now, and feels pretty natural to me. 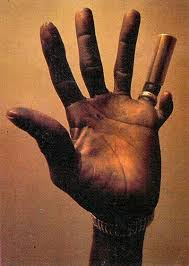 well Hound Dog Taylor had 6 fingers on each hand and DID get drunk one night and cut off one of them.